THIS IMAGE IS also PRINTED WITHOUT WORDS - See in the Gallery. After the digital painting was completed, I found a Bible story that I was not familiar with, it strongly speaks for today: Judges 21 - paraphrased: The tribe of Benjamin had come out of battle, they had no wives and their tribe was in danger of diminishing. The leaders told the men of Benjamin - go hide in the vineyards, wait and watch. 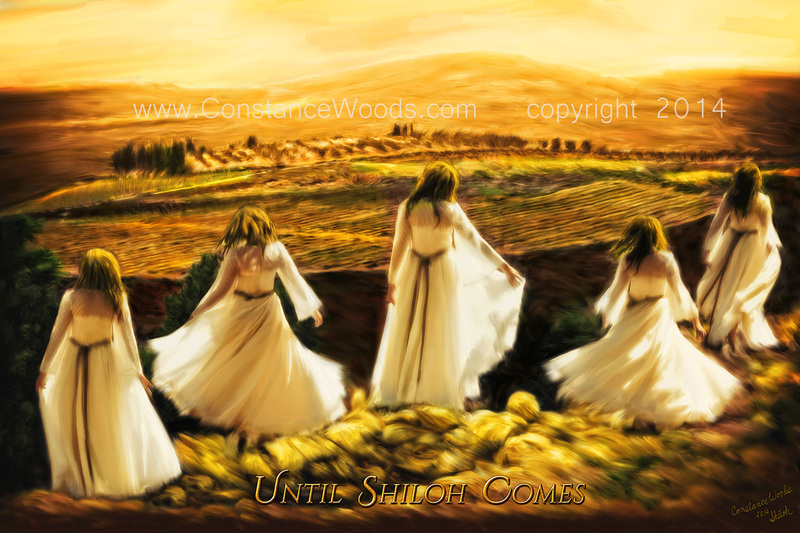 When the daughters of Shiloh come out to dance (during the feast), come out from the vineyard and take for yourself a wife from the dancing daughters of Shiloh!! And they did.